Digi-Schlock: LAKE PLACID (Scream Factory Blu-Ray) – Schlockmania! Lake Placid might have done modest business at the theaters but its campy vibe attracted a bit of a cult following on home video, where it spawned no less than three sequels. Thus, it had enough cachet to be revisited on blu-ray and Scream Factory did the high-definition honors. The result is a tidy little blu-ray that not only offers a nice transfer but throws in a fistful of extras new and old for the film’s fans. Things start nicely with a good transfer of the film. The outdoorsy color palette looks nice and natural here and the details look vivid throughout. The 5.1 DTS-HD stereo mix for this transfer sounds good for an older surround track, particularly in its use of John Ottman’s lavish musical score. The extras begin with the newest bonus feature, a Scream Factory-created featurette simply entitled “The Making Of Lake Placid.” It runs about 31 minutes and includes an impressive roster of participants like director Steve Miner, cinematographer Daryn Okada, star Bill Pullman, editor Marshall Ha rvey and production designer John Willett. No one in this piece is at a loss for comments. Miner talks about letting David Kelley’s script set the tone for his direction instead of vice-versa and Harvey supports these thoughts with some insightful comments about the relationship between humor and horror. Okada talks about the challenges of shooting on water and Willett reveals how an extensive tank set was built for shooting the big action-on-water scenes. 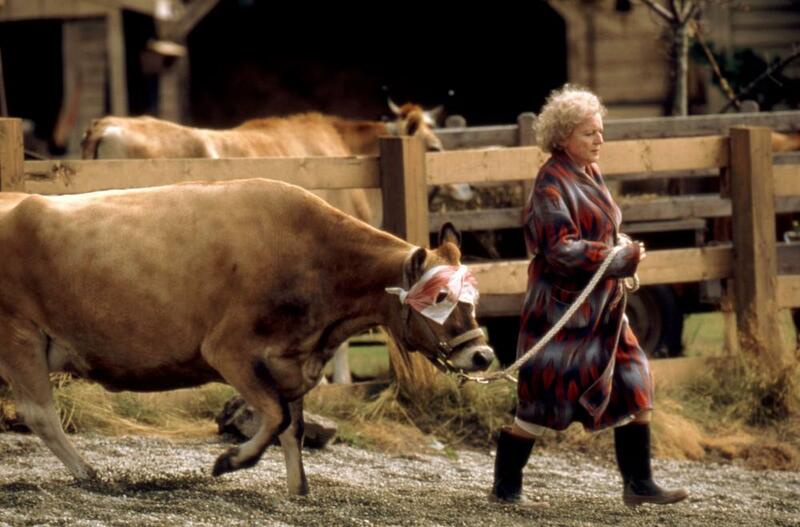 Miner praises the abilities of each cast member, with Betty White and Oliver Platt receiving special praise. 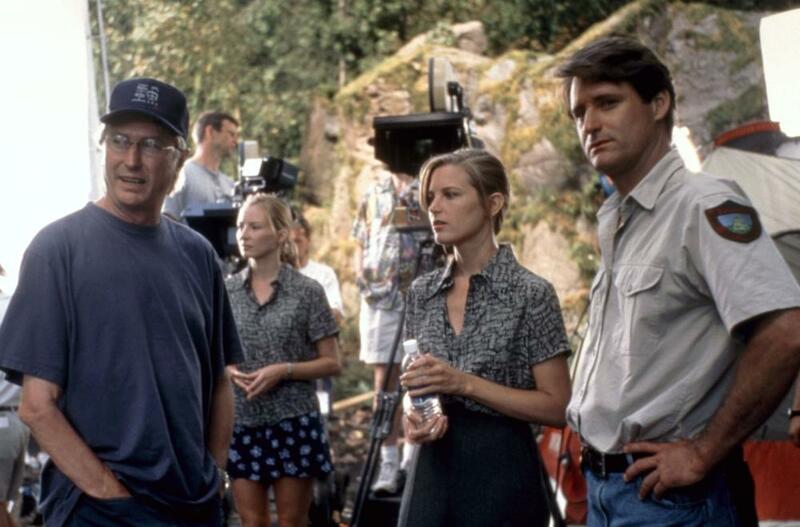 All in all, an informative piece for the fans interested in the filmmaking challenges of Lake Placid. The most unexpected inclusion is something called “Croc Test Footage.” it offers just over seven minutes of silent camcorder video depicting a few FX crew members testing out the large scale croc in the water, submerging and raising it as the camera pans back and forth across it. The last extra is a behind the scenes image gallery that offers 40 shots of Miner and his cast on set as well as plentiful shots of the complex logistics involved in capturing the film’s practical effects. 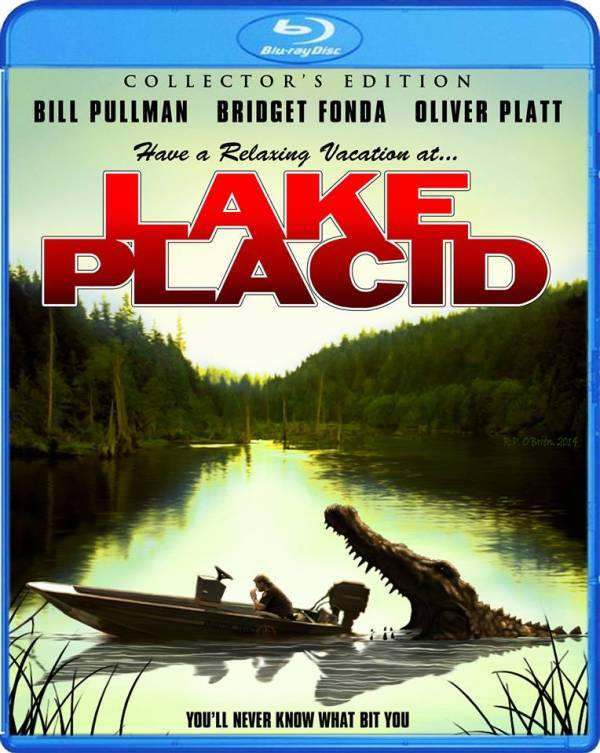 All in all, Scream Factory has created a nice little blu-ray for Lake Placid’s fans, who will appreciate the solid transfer and the new featurette. It’s worth the upgrade for fans of comedic horror fare. 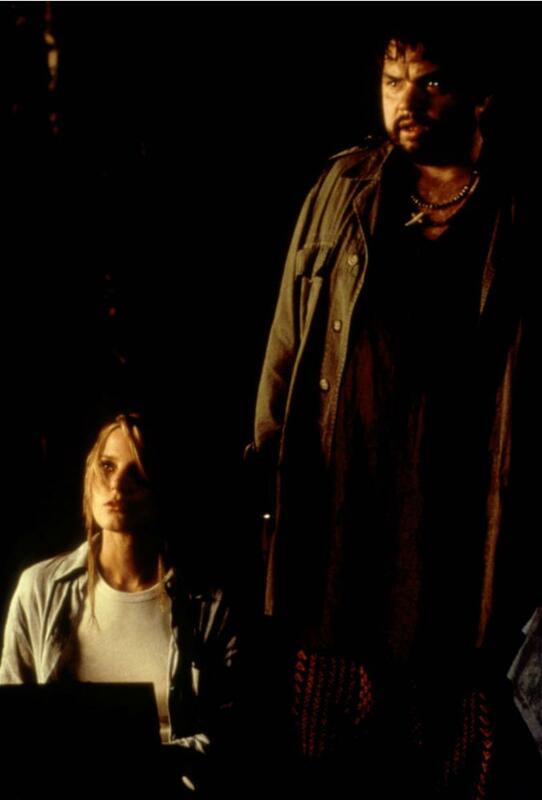 To read Schlockmania’s film review of Lake Placid, click here.